I like going to DC pretty much any time of the year but I love it more in the spring. 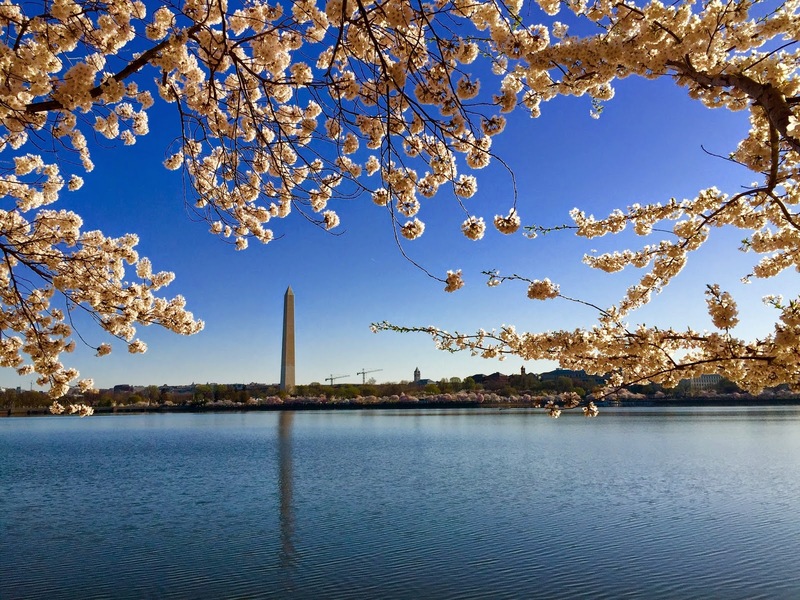 Around this time of the year, locals and tourists are welcomed by the world famous National Cherry Blossom Festival held from March 20 through April 12. 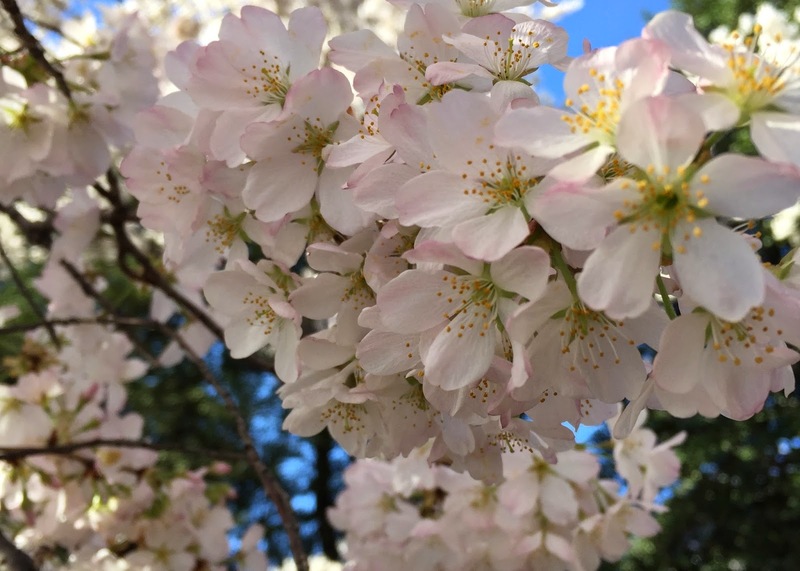 The dates of the annual celebration vary every year so if you want to plan your trip in advance, make sure you check out www.nationalcherryblossomfestival.org for the most up-to-date events, bloom watch predictions and souvenirs. It all started in 1912 as a gift of more than 3,000 cherry trees from Tokyo to the city of Washington, DC, commemorating the friendship between the two countries. The Yoshino cherry trees are located around the Tidal Basin, Jefferson Memorial and the FDR Memorial. If you want to park close to the cherry blossoms, the nearest parking lot where I usually park for free is at Lots A, B or C south of the Jefferson Memorial. There are plenty of available spots every time I park there at different times of the day so I am assuming not many have heard of this kinda secret parking lots. The Ohio Drive between Lincoln and Jefferson Memorial are always full of parked cars and buses. When I drove to DC on Sunday April 12, the Ohio Drive was closed off in the morning because of the Credit Union Cherry Blossom Ten Mile Run so there was no access to the parking lots. So instead I parked at the PMI Parking garage in 1325 G Street NW near the Metro Center station and paid $16 for the weekend rate (up to 12 hrs). The garage is the only parking facility closest to the Tidal Basin that is also open on weekends. It's a 30-minute walk to the Jefferson Memorial, 20-minute walk to the Washington Monument and less than 10 minutes to the White House. This year, I skipped on other festival activities like the blossom kites, parade and fireworks. I'll save that for another trip to DC in July for the extravagant Independence day fireworks. I just wanted to visit the cherry blossoms and take lots of pictures. Keep in mind that during the cherry blossom festival, DC can be very crowded so if you can wake up really early in the morning, I would suggest you go there by dawn to meet the sunrise if you want more than just clear blue skies in the background. Or you could always stay late until dusk for picturesque sunsets around the Tidal Basin memorials. "May this pagoda symbolize the spirit of friendship between the United States of America and Japan manifested in the treaty of peace, amity and commerce signed at Yokohama on March 31, 1854, by the plenipotentiaries of the two countries."